Ellish Marketing Group (EMG) congratulates client Dover Downs Gaming & Entertainment on the brand refresh of their Herschel Walker Restaurant in Athens, GA.
OnLine Athens reports that Herschel Walker’s restaurant located at 320 E. Clayton Street in Athens, GA will ring in its first anniversary with a new menu featuring some craveable Southern family favorites and a new name. 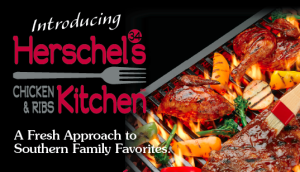 Herschel’s Famous 34 Pub and Grill will officially become Hershel’s 34 Chicken & Ribs Kitchen and will debut a streamlined and focused menu with its February anniversary. 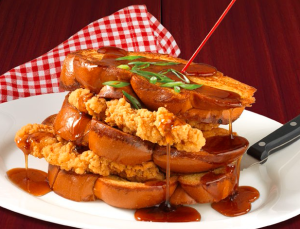 The restaurant will offer “generous” portions of Southern-style chicken and ribs, shareable items and “generously poured beverages,” according to a news release. The release also noted that Walker picked out new recipes with his mother to dig into his Southern roots. Herschel’s 34 Chicken & Ribs Kitchen opens at 4:30 p.m. Monday through Thursday for dinner and at 11 a.m. Friday through Sunday for lunch and dinner service. Ellish Marketing Group, restaurant marketing consultants serving well respected restaurant brands world-wide, is proud to have partnered with Dover Downs on the strategic direction for their refreshed restaurant brand. EMG provided the brand positioning work for the Herschel’s 34 Chicken & Ribs Kitchen restaurant concept, drove the strategic direction for the new menu and developed the branding, marketing & advertising materials to support the anniversary brand refresh. 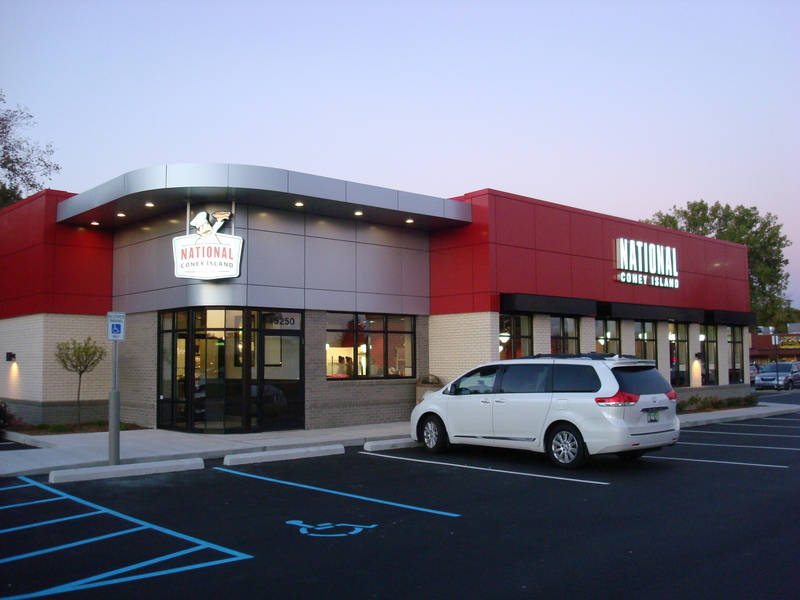 Ellish Marketing Group (EMG) congratulates client National Coney Island (NCI) on the grand opening of their newest location in Canton, MI. Ellish Marketing Group is proud to have partnered with NCI on the strategic direction for the brand refresh for this iconic Detroit restaurant brand. EMG provided the brand positioning work for the restaurant concept, the branding design and new logo, and the menu optimization direction and consumer TURF research to identify the new focused and more limited menu. For owners to be successful, they first and foremost have to differentiate their business from the bars and nightclubs down the street. Warren Ellish, president and CEO of Denver-based Ellish Marketing Group, explains that once this is achieved, then an owner can propel that into sustained interest from loyal customers. Ellish told Bar IQ six more tips on how to make a business sizzle and stay on top. 1. Know Who You Are. To establish what kind of business you want to be, you need to give potential customers an idea of “what’s behind those four walls,” Ellish explains. “Who’s the target market for your brand? It’s not a demographic as much as it’s an emotional mindset. What do they need or want?” For those people, it’s about what makes your business different from other establishments, he says. People won’t come because of good food, drinks and affordable prices alone. “If owners don’t have an idea about what makes their place unique and different … then there’s no real reason [for a guest] to become loyal to your place,” he says. 2. Control Your Message. What can you do to really make your establishment stand out? Ellish says it starts with gaining some perspective and figuring out what you can do as a business owner that other people aren’t doing. Once you find what makes you different, “tell people about it when they come in,” he says. “They’ll notice it and talk about it and come back.” If you properly define your brand, then people will begin to refer to your brand in that way. “What people say about the brand you can control,” he says. 3. Promotions Work. Promotions are very important, Ellish says. “It’s a means to get people in and try your place,” but also if people come in and like the promotion, they’ll know that you deliver on what you’re trying sell. “Promotions have a strong return on investment. Ellish also advises not to use discounts, because that doesn’t build repeat customers. Use incentives versus just discounting, he says. 6. Cater To Women. Ellish says one thing he always finds interesting is that bars and nightclubs market to the male audience in hopes that females will follow. “Most don’t cater to what women want. They’re focusing on the needs and wants of the male audience over the female audience.” If your bar is filled with women the men will follow. EAGAN, Minn., Dec. 20, 2012 /PRNewswire/ – Buffets, Inc. has appointed seasoned restaurant executive Philip Friedman and highly accomplished marketing executive F. Warren Ellish to its Board of Directors, thereby completing the new seven-member board of directors formed after the company emerged from bankruptcy. Both executives possess over 30 years of restaurant industry experience and each has held leadership positions at growth and turnaround brands in the restaurant and hospitality industries. The appointments are effective immediately. Philip Friedman currently serves as Chairman and CEO of Salsarita’s Fresh Cantina, an 85-location casual Mexican restaurant chain he acquired in 2011, and as President of P. Friedman & Associates, Inc., a strategic planning and management consulting company he founded in 1986. Friedman previously served as Chairman, Chief Executive Officer and President of McAlister’s Corporation, a quick casual concept he acquired along with a group of investors in 1999. 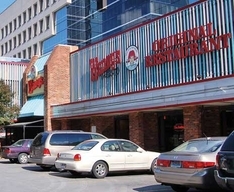 During his tenure, McAlister’s grew from 27 to 300 restaurants in 22 states. In 2005, Friedman led the successful sale of McAlister’s Corporation to Roark Capital Group. Friedman was awarded Nation’s Restaurant News’ 2009 Golden Chain Award honoree for his success with McAlister’s and The International Foodservice Manufacturers’ Association’s Silver Plate award for his enduring and outstanding achievements in the Chain Restaurant Full Service category. He was also honored by the National Restaurant Association (NRA) as a Cornerstone Humanitarianfor leading McAlister’s in outstanding community involvement. He received an MBA from the University of Pennsylvania’s Wharton School, as well as a MA in Political Science and a BA in History from the University of Connecticut. Friedman serves on the Board of Directors for Diversified Restaurants, Boudin Bakeries & Restaurants and Silver Diner Corporation as well as on the boards of the National and Mississippi Restaurant Associations. 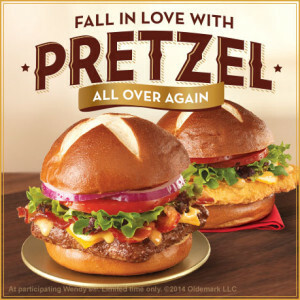 “Phil will help us deliver on our brand vision of offering real food and real choices, while creating real connections with our guests,” said Anthony Wedo, Buffets, Inc. Chief Executive Officer. Ellish received both his BS and MBA from Cornell University, where he currently serves as a member of the marketing faculty at the SC Johnson Graduate School of Management. Friedman and Ellish will serve alongside current 2012 Buffets, Inc. Board Members: Chairman Rob Webster, CEO Anthony Wedo, David Merritt, Todd Brown and Santino Blumetti. Buffets, Inc., the nation’s largest steak-buffet restaurant company, currently operates 347 restaurants in 35 states, comprised of 337 steak-buffet restaurants and 10 Tahoe Joe’s Famous Steakhouse restaurants. The restaurants are principally operated under the Old Country Buffet®, HomeTown® Buffet, Ryan’s® and Fire® Mountain brands. Buffets employs approximately 18,000 team members and serves approximately 100 million customers annually. For more information about Buffets, Inc., visit online at www.Buffet.com.